Prosoft Systems has developed architectures and systems for a broad range of industries. 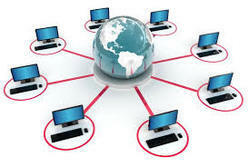 This often requires the linking of a wide variety of computers and devices across the enterprise. Prosoft typically designs and implements the network software that integrates these systems. As experts in Driver development, ODBC, OPC, TCP/IP and COM / DCOM, Prosoft is uniquely qualified to deliver seamless and reliable systems.